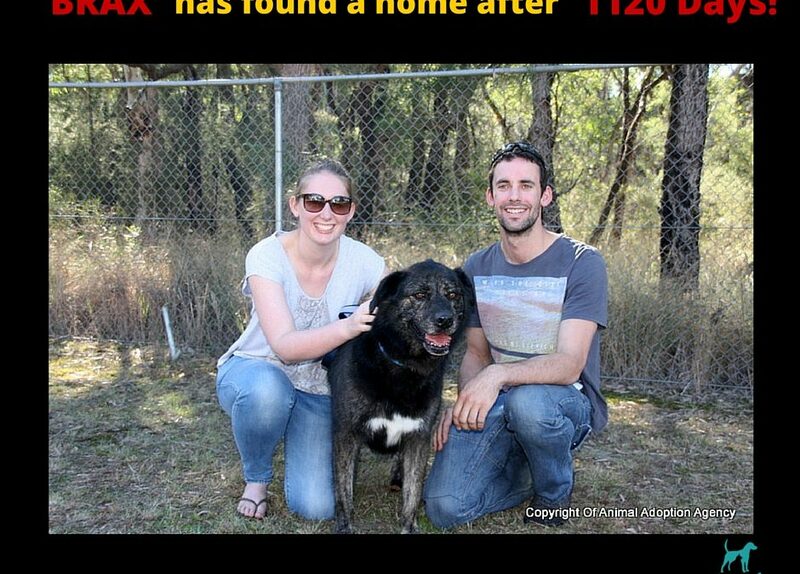 Brax finds a home after 1120 days!! What a wonderful dog Brax is. Here at the Animal Adoption Agency, we do our best to match the owners with the right animal. Sometimes it happens quickly and sometimes it doesn’t. Brax was one of those dogs that took longer to find his perfect match….but he did in the end!! Congratulations to this wonderful couple who have given Brax the opportunity he was so patiently waiting for.